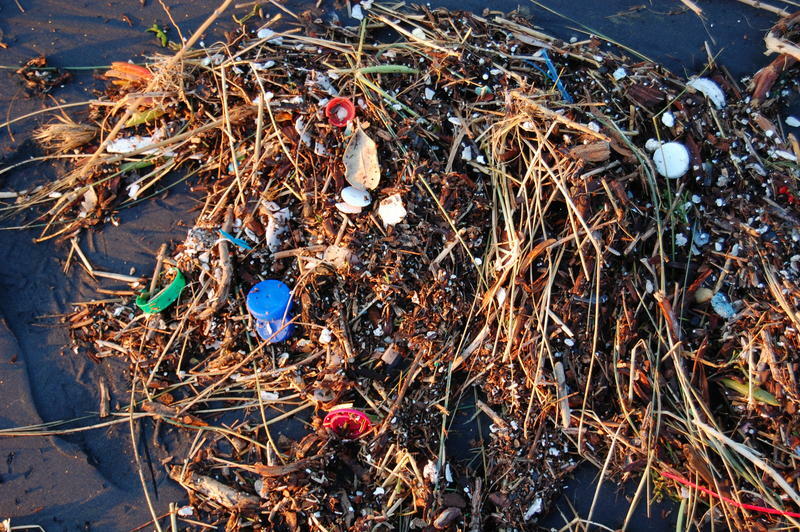 Anyone who's ever helped clean up the Mississippi River can tell you plastic pollution is a big problem. The Mississippi River Cities and Towns Initiative announced in Davenport on Wednesday new efforts to reduce the amount of plastic that ends up in the river, the Gulf of Mexico, and oceans around the world. MN State Rep. Rick Hansen (at podium) asks if anyone here wants to drink or eat plastic. Minnesota State Representative, Rick Hansen, is a member of the Mississippi River Legislative Coalition. He says a large percentage of the plastic pollution in the Gulf of Mexico comes from the Mississippi River, and all levels of government can work together to prevent plastic pollution. Mayors whose cities belong to the river initiative met in the Quad Cities this week to discuss many issues. And the White House agreed to send an official from the US Department of Agriculture to the annual meeting to talk about tariffs and their effects. Mayor Lionel Johnson, from St. Gabriel, Louisiana, says exports are a crucial part of the economy that provide 280,000 jobs in his city and the Baton Rouge area. He doesn't want a prolonged trade war or for farmers and others to lose the foreign markets they already have. 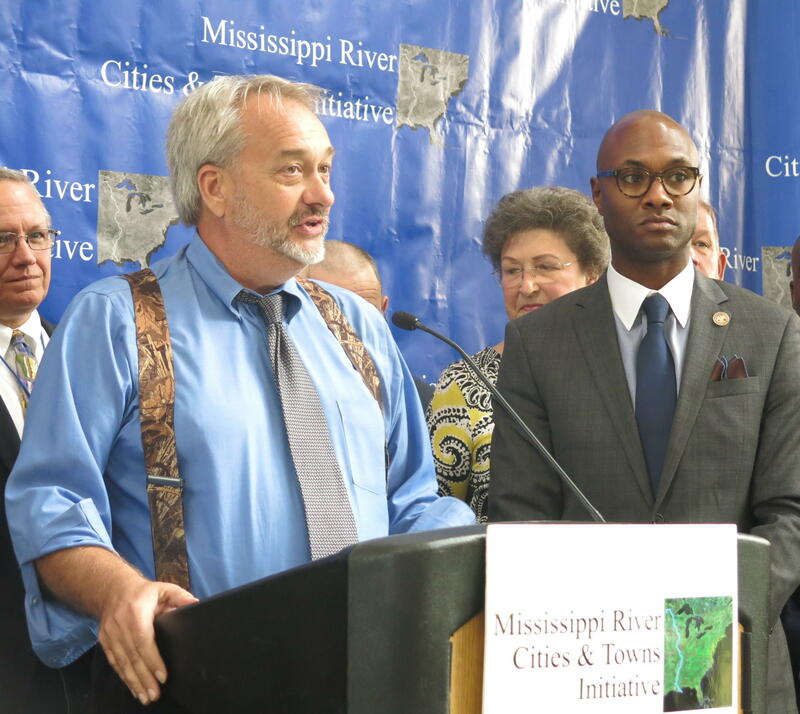 The mayors from the Mississippi River Cities and Towns Initiative are committed to reducing plastic waste 20% by 2020. And representatives from Happy Joe's Pizza and Ice Cream Parlors and Heart of America joined them to announce their companies' commitment to do the same.